In the tightly packed combat zone, the prize of overall national champion was decided in the ninth and final race of the series. Three yachts swapped the overall lead during the last three races. Keeping in clear air and playing the shifts were the big factors towards a top performance but maintaining concentration, in an adrenalin packed final day, was just all important. Anthony O’Leary’s Ker 39, Antix, continued their impressive display, winning the first two races of the day to secure the IRC One title, and third place in the last race of the regatta was just enough to secure the overall win. 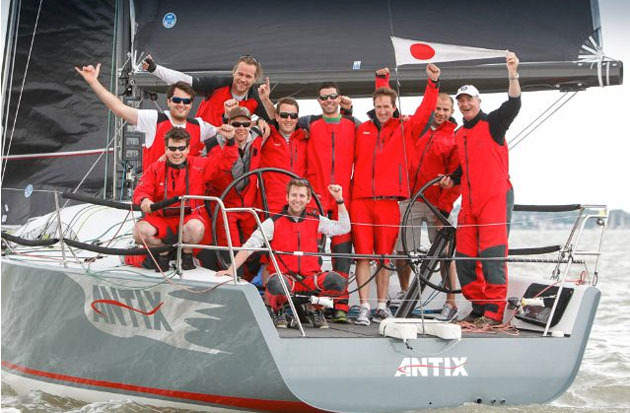 Antix was crowned RORC IRC National Champion to the delight of the Irish crew. Mike Bartholomew’s South African GP42, Tokoloshe II, was second in class and Marc Glimcher’s American Ker 40, Catapult, finished the regatta in style winning the last race to place third.